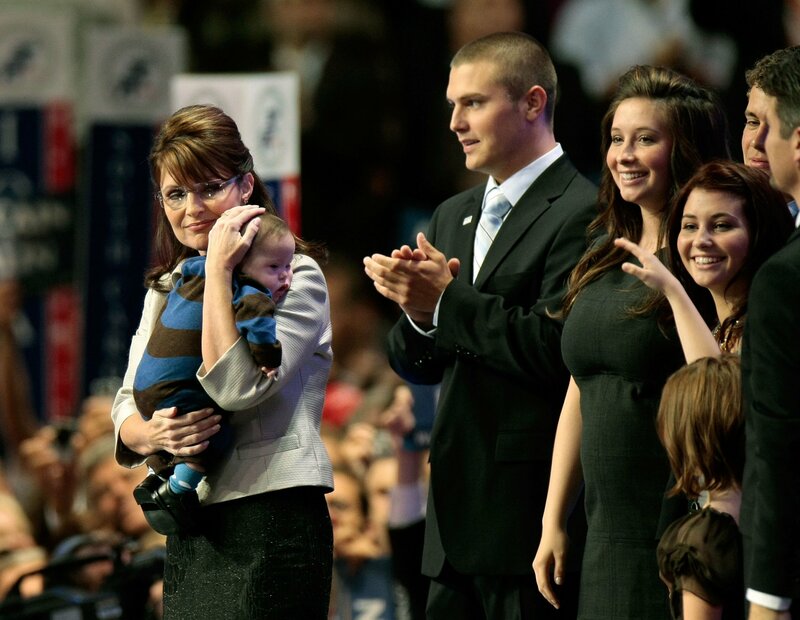 Track Palin, the eldest son of former Alaska governor and vice presidential candidate Sarah Palin, has been arrested on assault charges. Palin, 29, of Wasilla, Alaska, was arrested on suspicion of domestic violence, interfering with a report of domestic violence and resisting arrest, according to a report released Saturday by Alaska State Troopers. According to the police report, when a female acquaintance attempted to call police to report the alleged crimes, he took her phone from her. Palin is being remanded in Mat-Su Pretrial Facility and is being held on a $500 unsecured bond, reported KTUU. He appeared in court Saturday, where he declared himself "not guilty, for sure" when asked his plea, reported the network. Palin faces three Class A misdemeanours, meaning he could be imprisoned for up to a year and fined $250,000. He has also been charged with a Class B misdemeanour, punishable by a day in jail and a $2,000 fine. It is not the first time criminal charges have been filed against Palin. In December 2017, he was accused of assaulting his father, Todd Palin. His mother, Sarah Palin, called police to report the alleged attack. The case is currently before Alaska’s Veteran’s Court. In January 2016 he was charged with domestic assault, interfering with the report of a domestic violence crime, and possessing a weapon while intoxicated in connection with the incident. His girlfriend had alleged that he punched her in the face. Sarah Palin was criticised by veterans groups in 2016 after linking her son’s violent behaviour to PTSD stemming from his service in Iraq.